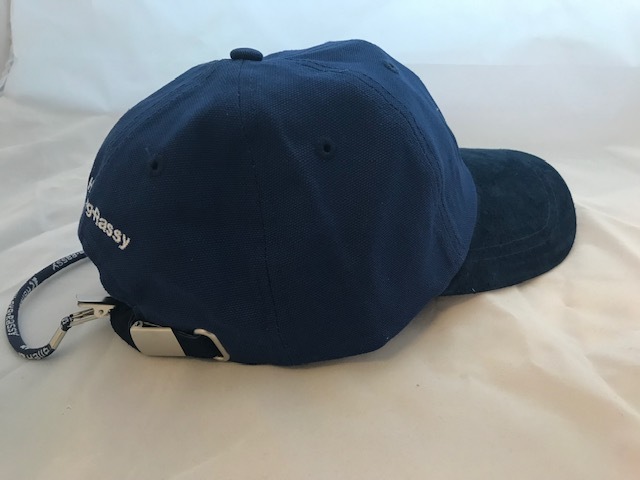 Medium Blue Cap with white R-Logo embroidery on front and Hallberg-Rassy logo embroidery at the back. Fastener to fix the cap on collar. Blue Alcantara Material on peak top. Clip on backside for adjusting the width. Unisex, on size fits all.